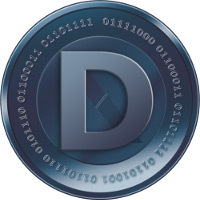 DarkCoin (DRK), now renamed to DASH, aims to be the first privacy-centric cryptographic currency with fully encrypted transactions and anonymous block transactions. These features are a work on progress and will be released in stages in the near future. DarkCoin (DRK) uses a specialized CPU and GPU miners, so you will need to download these in order to be able to mine this new crypto, download links are available below. DarkCoin uses a new chained hashing algorithm approach, with many new scientific hashing algorithms for the proof-of-work. This is so that the processing distribution is fair and coins will be distributed in much the same way Bitcoins were originally. ASICs will be much more difficult to make for these algorithms and will take years, so GPU mining should be the main solution for mining these coins.